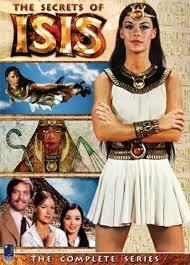 Back in the mid-70s, there was a groundbreaking female superhero on Saturday morning TV called Isis. An American high school science teacher found a magic amulet on a archeological dig in Egypt that allowed her to turn into the ancient goddess Isis who had superhuman powers to control the elements and use these powers to fight evil. 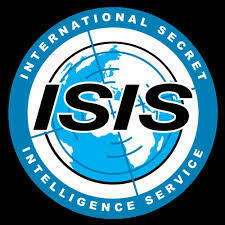 The show only lasted a couple of seasons, not enough time for Isis to rid the world of all its bad guys. Unfortunately in the last couple of weeks a whole different version of "ISIS" has burst upon the world's consciousness. It also lacks any moral grounding; they're not into acts of violence solely for kicks, they're not here for our amusement and unlike their namesake super heroine, in their world view women have no rights whatsoever. The ISIS that is dominating the news is the Islamic State in Iraq and al-Sham (the Levant, meaning Syria, Lebanon, Israel) a brutal neo-Maoist group so extreme that they were booted out of al Qaeda. Although thoroughly Sunni Muslim in its presentation, it could be a dead-ringer for the Khmer Rouge in their tactics, and strategy. Wiping out vast swaths of the Shiite Moslem population in Iraq and elsewhere doesn't perturb them all that much. In fact, to realize their dream of a resurrected Sunni Caliphate any expediency is acceptable. This has been demonstrated by a series of videos detailing their unabashed brutality. In the past week, ISIS, with just a few thousand soldiers, has conquered more than a third of Iraq as the Iraqi army in the Sunni parts of the country melted away as fast as the former South Vietnamese army did in the spring of 1975. Tens of thousands of Iraqi troops just ran away, abandoned their equipment and abdicated their duty. Had even a fraction of them stood and fought, ISIS probably could have been thwarted. It remains to be seen whether the remnants of Iraq's U.S.-trained and U.S.-equipped armed forces will make a stand in Baghdad and in the South of the country as the Kurds successfully have in the Northeast. If they don't, it sure won't be springtime for the Shiites who comprise about 60 percent of the country. The utter collapse of Iraqi national institutions and of Iraqi national will in the Sunni regions of the country is highly edifying. As in South Vietnam it shows that a sense of nationhood, pride and purpose often can't be imposed on people, it has to come from within. But sometimes that takes time. Iraq was artificially created out of various and sundry provinces of the defeated Ottoman Empire at the end of World War I by Great Britain which was given that swath of territory as spoils of war (the French got Syria and Lebanon). As was typical in the colonial era, nations and borders were created by the Western powers without regard for the ethnic, religious, cultural or political cohesion of its inhabitants which has been the cause of much global bloodshed in the past 100 or so years. In the case of Iraq, as we know, the Sunnis and the Shiites hate one another with a profound passion. However, it bears noting that this ISIS explosion is not a grassroots home-grown revolt against Shiite rule. The ISIS fighters have been recruited from across the Moslem world and imported to the region with an express goal of conquest and igniting conflict between Sunnis and Shiites to force a collapse of the state. The conundrum for America (and it should be one for the European Union) is what to do about all this. Allowing Iraq's vast oil reserves to fall into the hands of the most extreme Muslim terror group in the world is just not good for world stability. Allowing a Killing Fields type of ethnic cleansing of Iraq is not good on pure humanitarian grounds. Allowing the complete subjugation of Iraqi women is deplorable. Abandoning allies (hello, Ukraine!) like the Iraqi government does not one whit of good for U.S. credibility around the world. Allowing Iran to fill the vacuum and in effect conquer Iraq won't be good for U.S. interests as it will set-off a humanitarian crisis with the Sunnis, it will put Iraq's oil into the hands of the Iranian Ayatollahs who are building nuclear weapons and who already threaten stability in the region through their proxies Syria, Hezbollah and Hamas and it would give Iran complete control of the region stretching from the Persian Gulf to the Mediterranean. That also wouldn't be too good for Israel either. Allowing the waste of so much American blood and treasure (forget debating the wisdom of going into Iraq in the first place) if Iraq falls is a disgrace to the memory of our fallen soldiers and an admission that aside from Germany and Japan, we can't straighten out any other countries for the betterment of their citizens and the world. Unfortunately, what's needed is for the West to man-up and send in a multi-national force (Americans, Brits, French, Germans, etc.) 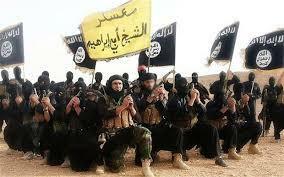 and squash ISIS (which has ambitions of spreading their Islamic revolution to London and New York). It won't take many planes or drones. ISIS has no air force. It won't even take many troops to confront the several thousand ISIS fighters. What it will take is will power and if there's absence of that we will be left only with the words of the 18th Century Irish philosopher Edmund Burke: "All that is necessary for the triumph of evil is that good men do nothing."